Sometimes a simple lock and key is not enough to keep your property safe from theft, vandalism or unwanted visitors. Fobs, cards, keypads and entry phones are safer and give you far greater control over who accesses your buildings. 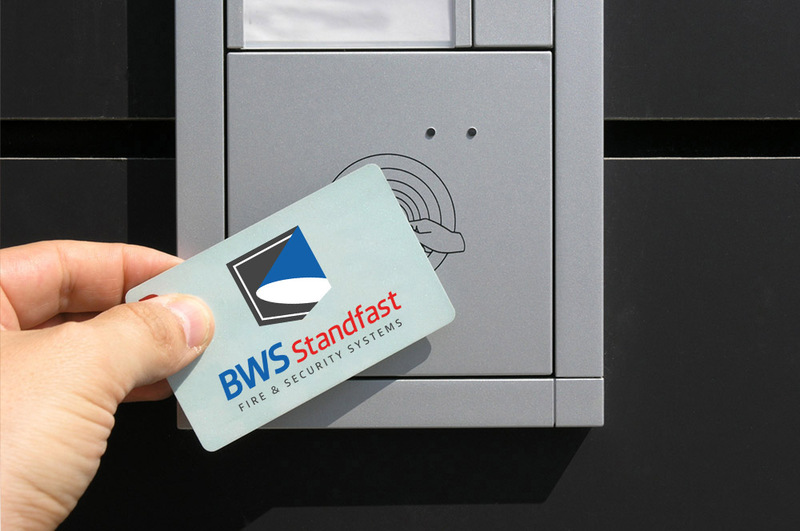 BWS Standfast provide high quality, cost-effective solutions to all your door access requirements – from simple one-door standalone systems, to multi-door computer-controlled systems. Our experienced security surveyors can assess your property and help you choose the perfect entry system for you. In need of a specialist access control system? of door and its usage." Door access control systems can be integrated with intruder alarms, fire alarms and CCTV surveillance systems where required to provide a complete security solution for your property. We are also able to integrate certain internal telephone systems with front door entry phone systems. All our systems comply with National Security Inspectorate (NSI) requirements and are compliant with NSI (NACOSS) NACP 30 Standards and the new Disability Discrimination Act (DDA) regulations. Every 6 months our installations are randomly audited by ourselves and the NSI to ensure our high standards continue to be met.